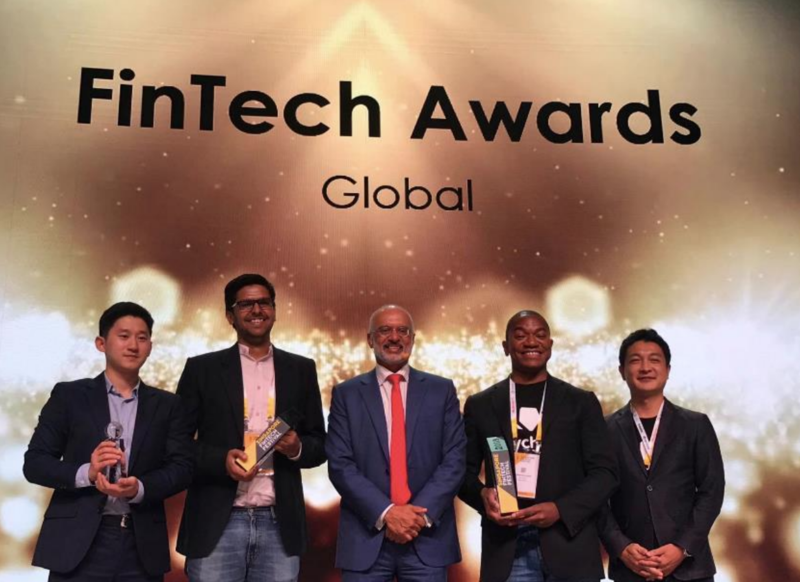 The 2018 Singapore Fintech Festival, which took place from November 12 to 16, 2018, brought together more than 40,000 participants from over 100 countries in the biggest gathering of the global fintech community ever. This year’s agenda was rich in content, with topics focused on the ASEAN market, financial inclusion, artificial intelligence (AI) in fintech, insurtech, and more. Ravi Menon, managing director of the Monetary Authority of Singapore (MAS), kicked off the event by sharing about the regulator’s ambitions for a Smart Financial Centre and Singapore’s fintech journey since 2015. People: By taking a multi-pronged approach to addressing the shortage of technology skills and training the next generations of fintech professionals. Identity: By launching the National Digital Identity (NDI) and within it, a powerful component, MyInfo, a digital service that enables citizens to authorize third-parties to access their personal data sitting across many different government agencies. Payments: By completing its national e-payment infrastructure, which includes FAST, a 24×7 real-time funds transfer infrastructure; PayNow, which allows instant money transfer using an email ID or mobile number; UPOS, a unified point of sale based on world wide open standards; and SGQR, the first of its kind in the world using a standardized QR code in Singapore. Data governance: By developing principles to guide the responsible use of data in financial services, and releasing a set of principles to promote fairness, ethics, accountability and transparency, or FEAT, in the use of AI and data analytics. 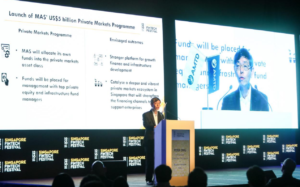 Applied research: By launching initiatives such as a S$27 million grant scheme to support R&D in AI and data analytics for the financial sector, and partnering with the MIT Media Lab in fintech R&D. This year, the Intellectual Property Office of Singapore established a Fintech Fast Track initiatives for patents. 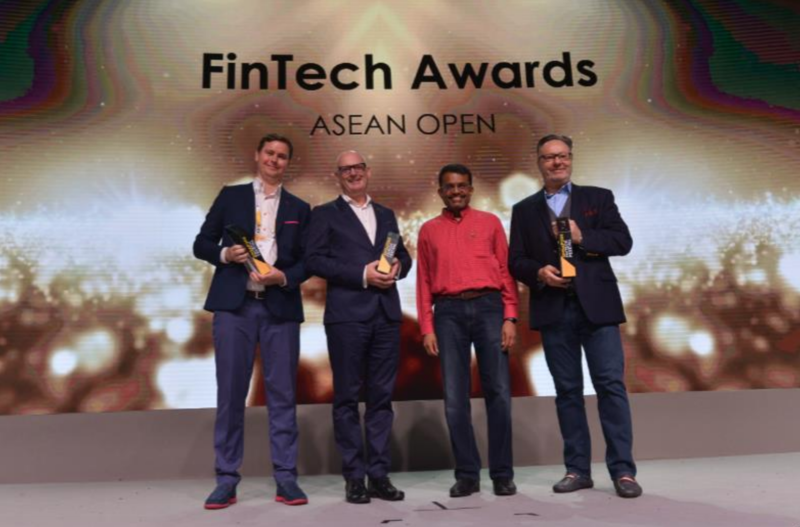 Platforms for innovation: By connecting people and ideas notably through initiatives such as AFIN – the ASEAN Financial Innovation Network. AFIN brings banks and fintech firms together to develop solutions to improve financial inclusion in the region. AFIN has launched the API Exchange, or APIX, the world’s first cross-border open architecture platform to enhance financial inclusion. MAS and the InfoComm Media Development Authority (IMDA) are also working together to create a cross-border innovation platform for SMEs called Business sans Borders. 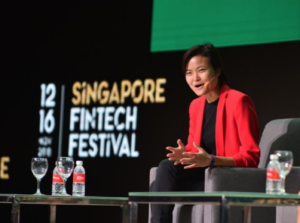 Many topics were covering during this year’s Singapore Fintech Festival including how banks are responding to the fintech revolution. In Europe, according to Accenture, 30% of new revenue is already coming from non-banks and big banks are rethinking their strategies. Yet, only 7% of banking processes have gone digital. Bill Winters, group CEO of Standard Chartered Bank, said that the digital transformation of banks is still in its early stages. Yet, there is a lot of innovation in financial services coming from banks or insurance companies. For instance, innovations in trade finance, such as wholesale cross border payments, have been coming out of the banking industry. Fintechs have supported those efforts as they have been partners in that regard. 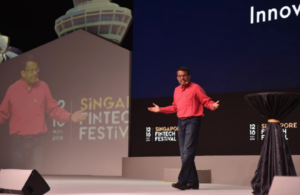 With millions of dollars being poured to developed AI technologies and applications in industries ranging from finance to agriculture to transformation, it comes with little surprise that AI was one of the key areas of focus at the 2018 Singapore Fintech Festival. While AI may help alleviate poverty, increase productivity, save time and reduce human error, it also poses several risks, with the two biggest being the impact on jobs, and data and algorithm transparency. Experts said that addressing these risks will be critical for the proliferation of AI in finance sector. In the financial services sector, the impact of AI is expected to be profound and all-pervasive. 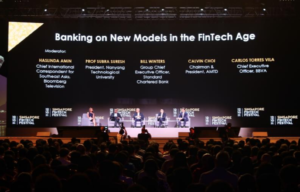 Samuel Tsien, Group CEO of OCBC Bank, commented that AI provides the ability to incorporate internal bank data with external big data information to explore and provide a much more valuable insight than before. The accessibility of external data enables banks to understand and analyze in-depth a consumer’s expected behavior, thus providing them with the opportunity to customize the customer experience journey according to their interest. Anti-money laundering (AML) monitoring could also be enhanced by AI with consumer behavioral learning and pattern identification. Jessica Tan, deputy group CEO and chief operation officer of Ping An Insurance (Group), Company of China, Ltd., said that her firm places technology, and in particular AI, at its forefront. Besides AI use cases in claims and loans, Ping An has also deployed voice robots in call centers and years were spent training the robots to possess the knowledge of its wide-ranging products and countless types of questions from customers. Helen Liang, managing partner of FoundersX Ventures, believes facial recognition is one of the most important applications used in AI today as it is widely used in security customs, traffic control and banking systems. Steven White, a professor at the department of innovation, entrepreneurship and strategy at the School of Economics & Management, Tsinghua University, added that the education and healthcare industry have also experienced a huge change with the advent of AI. Another topic that was at the center of the discussion was the ASEAN region and its numerous opportunities. Experts noted the region’s high mobile penetration and young, digitally savvy population. Dennis Khoo, head of regional digital bank and digital banking at UOB, said that in ASEAN, there are at least 60% below 35 years old which translates to 400 million customers. In 2017, just under half of the population has a smartphone and the figure will increase to 65%. Chartsiri Sophonpanich, president of Bangkok Bank PCL, pointed out that Thailand and the ASEAN market is a relevant example of prevalent globalization, regionalization and digitization of platform. Digital banking has improved accessibility in rural areas, urbanized the banking experience and created a lifestyle change. Justo A. Ortiz, chairman of the board of the Union Bank of Philippines, said that in the Philippines, the focus is on small and medium-sized enterprises (SMEs), where fintech provides a value proposition in the area of onboarding, alternative credit scoring and financing on a limited scale. John Lepore, a general counsel on policy and advocacy at Mastercard, shared his experience from the partnership between Mastercard and Grab in Southeast Asia in developing prepaid and virtual cards. The cards created opportunities for individuals without bank accounts to use cash in a variety of easily accessible ways to top up their Grab accounts. He further mentioned the use of QR codes, which allow small merchants to be able to engage in digital transactions and reduce reliance with cash. During a panel discussion, ASEAN fintech leaders from Funding Societies | Modalku, Coins.ph, Ascend Money Co. Ltd., and Jirnexu, shared their predictions on the future of their industry. Tanyapong Thamavaranukupt, president of Ascend Money Co. Ltd, expects digital payment adoption to further increase but in what form will depend largely on factors such as penetration of technologies like smartphones and/or availability of data services. His belief is that as digital payments grow, digital lending will happen organically as payments companies obtain more data to use for underwriting. Ron Hose, CEO of Coins.ph, believes that the growth in fintech will be explosive. As smartphone penetration happens, financial services infrastructure for delivering services to consumers will be at forefront of that growth. During a panel discussion on the future of the insurance industry, Chris Wei, executive chairman, Asia & FPI & global chairman of Aviva Asia Pte Ltd, said that insurtech has a huge part to play in terms of improving customer experience and simplifying the customer journey. He added that the industry should not view tech giants as a threat but as an opportunity to generate insights and find gaps in the market. Experts noted the potential of smart contracts to create and execute an efficient business logic, eliminating the complexity in the current contracting process. The speakers agreed that ultimately, blockchain will seamlessly work in the background to deliver a great customer experience. Deep technologies, which include big data, AI, computer vision and drones, also have the power to disrupt the industry. One area in particular that’s witnessed rapid growth is the use of drones to collect information such as on climate, rainfall, agricultural farms and construction sites. Data collected by these drones is helping insurance companies to improve their underwriting and pricing policies. During the Global Investor Summit, Peter Ong, chairman of enterprise Singapore & board member of MAS, introduced a new component in the Singapore Fintech Festival called Meet ASEAN’s Talents and Champions (MATCH), a curated deal-making platform that connects global capital with the ASEAN enterprise community. Ong also announced the launch of MAS’ private market program, where the regulator will allocate US$5 billion of its own funds as part of its investment portfolio into the private markets asset class. These funds will be placed with top global private equity and infrastructure fund managers that are committed to deepening their existing presence or looking to establish significant presence in Singapore. This venture will complement MATCH to build private market platforms that connect growth companies with investors. 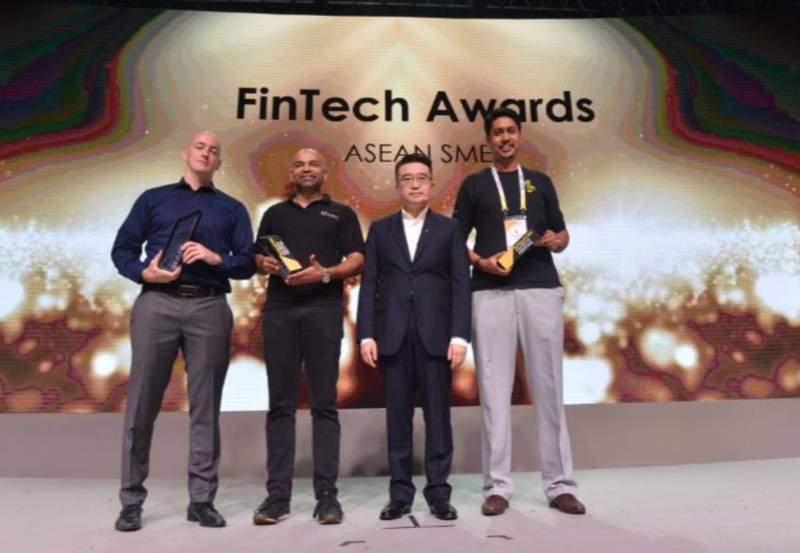 This year once again, the Fintech Awards celebrated the achievements of fintech companies, but while past years focused on Singaporean firms, 2018 saw the expansion of the awards to include countries in the ASEAN region. 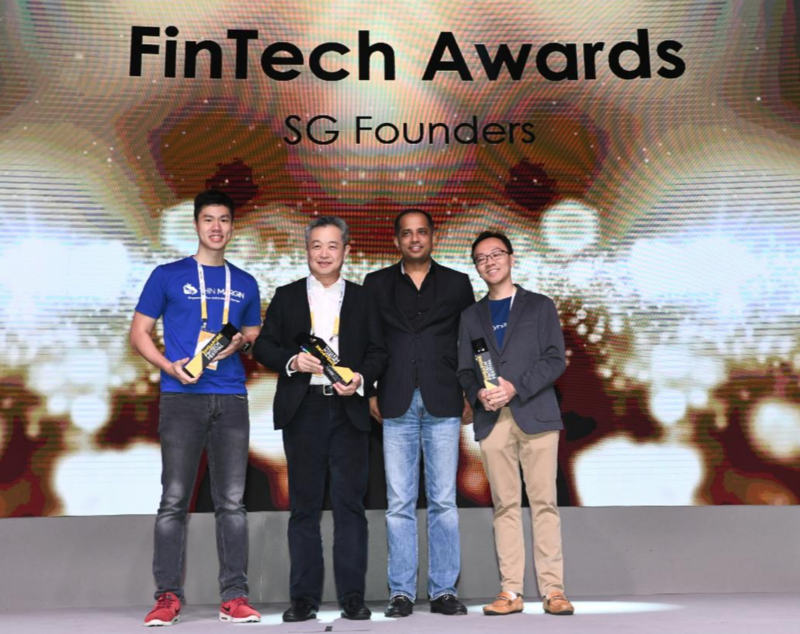 A total of S$1.2 million was distributed to Fintech Award 2018 winners. 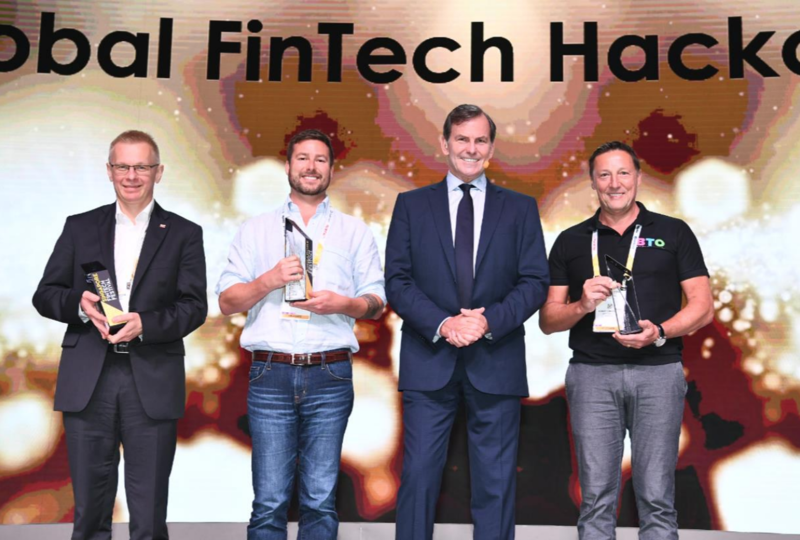 Powered by KPMG Digital Village, the 2018 Global Fintech Hackcelerator looked for the most exciting and innovative startups from all over the world that address problems faced by the financial industry. A total of 304 entries were received and 20 finalists were shortlisted. The finalists underwent a 12-week intensive mentoring program with corporate champions, including MAS, KPMG and industry mentors. They also worked with the financial institutions on contextualizing solutions, and tapping on the institutions network for potential business opportunities.